Jisu Sunim holding up a rubbing of Bodhidharma which has just been presented to him by Shi Yanzi. With his understanding of Chinese philosophy, he gradually evolved what is now called Chan. 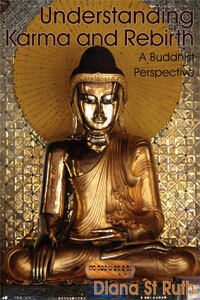 Students were taught to understand that there was no distinction between the Buddha and themselves. The only difference was that the Buddha or the Bodhisattvas were enlightened beings. Ordinary people have worries and anxieties and vexations, and so they fail to see their true nature. If they sincerely embark upon the task of reflecting on their true nature, putting aside all their troubles, all their worries, then they too will arrive at the thinking of the Buddha, they will reach the state which the Buddha reached. Through the practice of meditation, one can arrive at this state. What is meant by sitting meditation? 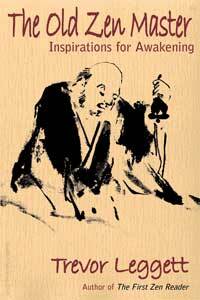 Bodhidharma’s main message was wall-gazing, facing the wall. This is a very important method in Shaolin’s teaching. What is the reasoning behind staring at a wall? In this method, no thought is given as to the path, the way. In this room here, for example, someone could show you where the door is, but in Bodhidharma’s teaching you just gaze at the wall. You are not shown where the door is. You are not shown how to go through the wall, either. How does one go through this practice? Or perhaps it could be asked, how does one go through the wall? You are to sit there and really think, but think to a certain level. Then, perhaps, you find the way. But those who understand the wall as physical do not realise that the wall is actually internal. So, the instruction is to sit and sit, and not even think of a second path. When you can ably put aside all thoughts of the external world, including your own internal world, then you enter the understanding of Buddhahood. And then you go on to become a being similar to the Buddha. You gain the understanding that the Buddha is, after all, the same kind of being as yourself and that Buddhahood is attainable. The only difference between yourself and the Buddha is that the Buddha was enlightened, and enlightenment needs a lot of work. I would now like to offer some simple ideas regarding sitting meditation. I am trying to present some ideas as to the theories, some simple theoretical basis. How can we attain our goal of enlightenment in our ordinary lives? Bodhidharma mentioned four approaches. The first is through an understanding of our past lives. In certain situations, when we are troubled, when we cannot achieve something, maybe not understand something, or find we cannot do something, we may blame others. For example, when we cannot deal very well with somebody, we may blame the other person. However, we must try to under­stand what is happening through contemplating past deeds, through con­templating the things we have done previously which have produced this present result, rather than laying the blame on somebody else. When we understand this, we shall then begin to reach calmness. This is also explained through cause and effect. The understanding of cause and effect could come about by realising that what we have done in the past, our past deeds, is producing a particular effect now. Sometimes we Chinese say that when you do a good deed, there will be a good result, but when you do a bad deed, there will be a bad one as well. A small bad deed may produce a small bad consequence, and therefore a big one will produce a similarly big consequence. The second approach is to understand that if presented with a gift today, for example, one would probably be very happy. Why would one be happy? The reason is that one has previously performed a good deed, not because of something happening today itself; it is because of previous actions. In the spring one may sow seeds; in the autumn one reaps the harvest. The autumn harvest is a consequence of the spring sowing. So there is nothing in particular to be excited or happy about. Not to strive is the third method—not to want, not to desire. Today you may think about owning a nice car, for example, tomorrow maybe something else. To want, or desire, will produce suffering. You should understand that you should not strive. Instead, be free from desire. If you understand this, you will reach serenity. This is a very difficult method, but you should put your effort into it. Once you understand the three previous ideas, then you can embark on self-cultivation and live according to the Buddha’s ideas of how life should be lived. These are the central ideas of Bodhidharma’s teaching. Although Bodhidharma prescribed the method of wall-gazing, he never said anything about having to do it all the time. One is to get on with one’s ordinary life; one is to understand all these things through normal life. When you understand what causes the problems of your heart, you work at eradicating these things. What controls your mind? Discriminating thoughts— rights and wrongs, positives and negatives, likes and dislikes, loves and hates, wanting and not-wanting. The mind, troubled by all these things, causes a lot of strife. Once you get off this kind of thinking, in a manner of speaking, you will be on your way. By then you will have control of your mind, and your mind controls your life. This is our understanding of the central thoughts of Bodhidharma. I am sure you know that this is not the only method taught at Shaolin Monastery. 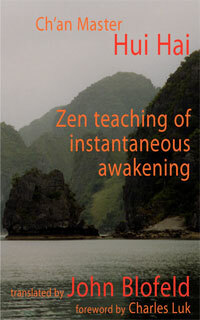 The monastery teaches another method of enlightenment, of self-cultivation. To many people, the name Shaolin brings to mind one thing only— kung fu. But why does Shaolin, a Chan Buddhist centre, teach martial arts, all these huh! hah! noises, all this training with swords and spears? There must be people who feel that to have this kind of business in Buddhist monasteries is quite odd. What has all this got to do with Chan Buddhism? As I have just said, one approach of training in Chan is with the mind—you sit in meditation and do not move, and you do this in order to arrive at a particular state. But is this total stillness? Are you like a block of wood when you are doing this? Not at all. You are moving—you are moving your world of thoughts. Chan can also be understood through Shaolin kung fu, a moving form of Chan. When one prac­tises kung fu, one fights; there is move­ment. However, in kung fu, one seeks stillness, serenity, through movement. When one moves, one’s mind must be quiet. If one’s mind cannot be quiet, or if one’s heart cannot be still, one won’t arrive at the goal. Would your heart and mind be as still as that of somebody who is able to reach a particular state through sitting meditation? Would your mind be still in a life and death situation? The object of kung fu practice is to reach that same state as intended by sitting meditation. You have to go beyond life and beyond death in your understanding. Once you understand this, you will go beyond suffering, beyond discrimination, and beyond fear, and you will arrive at peace of mind. That is the idea behind the practice of Shaolin kung fu. The object of the martial arts is not to find trouble, but to enable one to practise Chan. You will be able to use your ability to control your mind, and to use the mind to lead a happier life. So there is this Shaolin tradition of arriving at the understanding of Chan through the fighting arts. There are many more methods taught at Shaolin besides wall-gazing and the martial arts for arriving at an understanding of Chan. Today, however, I have just presented these very simple and very basic ideas of what our tradition is. I am only a young monk. Would you therefore please correct me if anything I have said is not right? Question: When did the teaching of Buddhism resume at Shaolin? I understand that, certainly twenty years ago, there were no practising monks left at Shaolin? 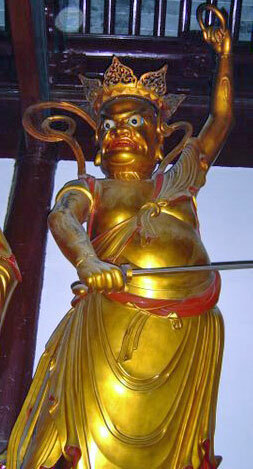 Answer: Buddhism as a whole did not suffer from what happened in 1949 in China. There were, of course, great troubles during the time of the Cultural Revolution. In recent times, however, the Chinese government has brought Buddhism to the fore again and has donated funds for restoration work in the monasteries. Question: When the wall-gazer is meditating, what is he or she doing? Is that person concentrating on a single object, or is the mind open? Answer: Naturally, it is not possible to keep the mind empty when wall-gazing. One should concentrate on, or think about, the teachings of the Buddha. In order to do this, however, one has to learn those teachings beforehand. Question: Is any use made of the kung-an (Jap. koan)! Answer: Kung-an practice is used in a similar manner to wall-gazing. As with the barrier of the wall, the purpose of the kung-an is to get you to go beyond it. You have to ceaselessly contemplate and contemplate, think and think, like ceaselessly gazing at the wall, and then you arrive there. So, in principle, the idea of both is the same. One can choose a particular method for one’s practice. People’s characters are different, so an approach chosen by one will not necessarily suit the next person. The level of understanding, the insights and intellectual capacities, will also differ from person to person. One has to work at whichever method is the best for oneself. The object is to practise; it is not like the simple understanding of a story, of having a good laugh and that’s that. 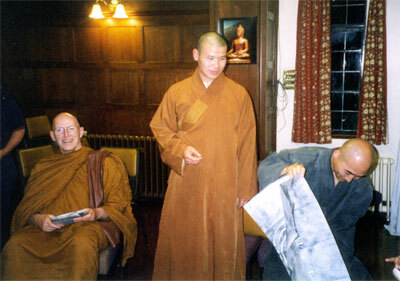 Ajahn Sumedho, Shi Yanzi, and Jisu Sunim. From a talk given at the 1998 BPG Summer School. Shi Yanzi who is in his early thirties [in 1998], was attracted to the martial arts when he was very young and wanted to enter the Shaolin Monastery—the very best place, he had heard, for learning the art. He became very good at kung-fu, but later began to notice that some of the older men were sitting to one side reading books. When he enquired about those books, he was told that they were Buddhist texts. 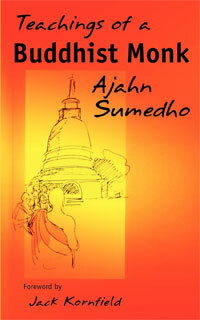 He said that he too would like to learn about Buddhism. His master was glad to present him with such a book, and then after a while started to shoot questions at him regarding the text and the meaning behind the texts. This was done often and unexpectedly in much the same way that he had been tested for his skills in kung-fu. Gradually Shi Yanzi’s interest in Chan became the predominant factor in his life. He came to Britain early in 1998 with a great interest in meeting Western Bud­dhists and teaching Chan. He became a monk in 1982.